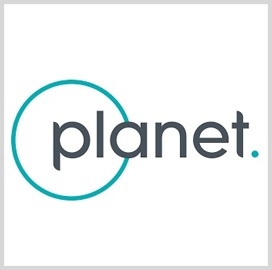 Satellite imagery provider Planet will continue to provide "high-revisit" satellite imagery to the National Geospatial-Intelligence Agency under a six-month option exercised under a $5.9M contract. NGA said Thursday it will also use the company's automated processing system to support analysis processes at the agency. “Over the last three years, Planet data has been used by the combatant commands to support their ongoing missions around the world and to train automated analytic systems to monitor and recognize changes in those operational environments,” said Scot Currie, deputy director at NGA's source operations group. The company will transmit daily imagery covering locations within U.S. Southern Command, U.S. Africa Command and U.S. Indo-Pacific Command areas of responsibility. Planet and NGA signed a cooperate research and development agreement in April 2018, nine months after the agency purchased a $14M subscription to the firm's imagery.